Fiery orange feathers cover the wings and tail of this ink-black, serpentine dragon. Its dark eyes dart about, and its claws fidget with nervous energy. Breath weapon (Su) 5-foot cone, confusion for 1d4 rounds, DC 12 negates. Creatures compelled to attack the nearest creature never target the aitvaras or creatures benefiting from its domain of fortune. An aitvaras can use this breath weapon once every 1d4 rounds. The save DC is Constitution-based. Domain of Fortune (Su) An aitvaras can adopt a structure as its domain, blessing it with supernatural luck and hindering enemies within its walls. Creatures that live in the bonded structure receive a +2 luck bonus on all skill checks within its walls. 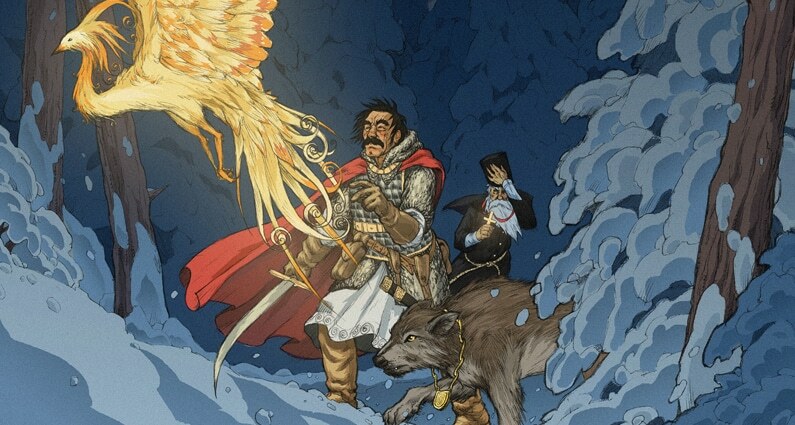 Non-chaotic intruders suffer a –2 penalty on attack rolls, damage rolls, saves, and caster level checks to overcome spell resistance within the structure. An aitvaras can only have one bonded domain at a time, which can be no larger than 100 squares. If the aitvaras ends its connection to a structure, it must wait 24 hours before it can adopt a new domain. Spells An aitvaras casts spells as a 3rd-level sorcerer. 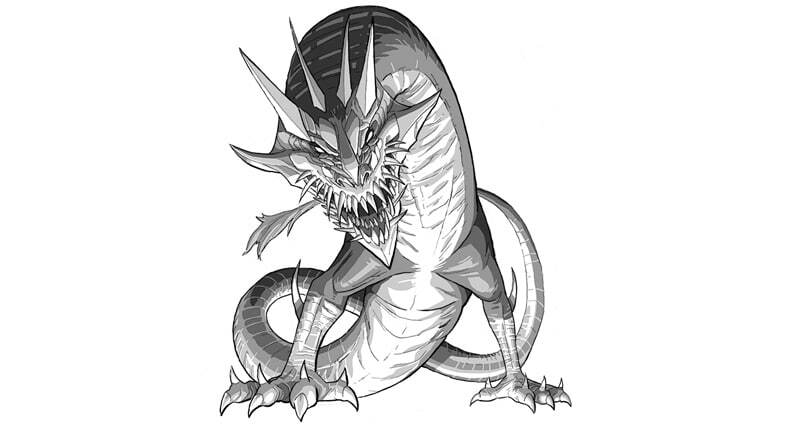 Mischievous, honorless cousins of pseudodragons, aitvaras (singular and plural) thrive in the bustling chaos of the city, where their actions often go unnoticed. An aitvaras uses the form of a stray cat to find a residence or business which it can claim as its domain. Once it adopts a home, the aitvaras works tirelessly to bring prosperity to its inhabitants, using its magic to bless residents with luck while stealing from neighbors and sabotaging competitive businesses. The residents’ new fortune is short-lived, however, for if the aitvaras’ mischief is traced back to its home, the dragon abandons its former benefactors to face the consequences of its actions while it slinks away in search of a new domain. An aitvaras typically follows some kind of pattern when choosing homes, though these predilections vary widely between individuals. Some favor certain races or professions, while others have more unusual preferences, such as a specific number of children or musicians who play a unique instrument. Their chaotic nature makes it difficult to attract an aitvaras to one residence or predict where it will go next. 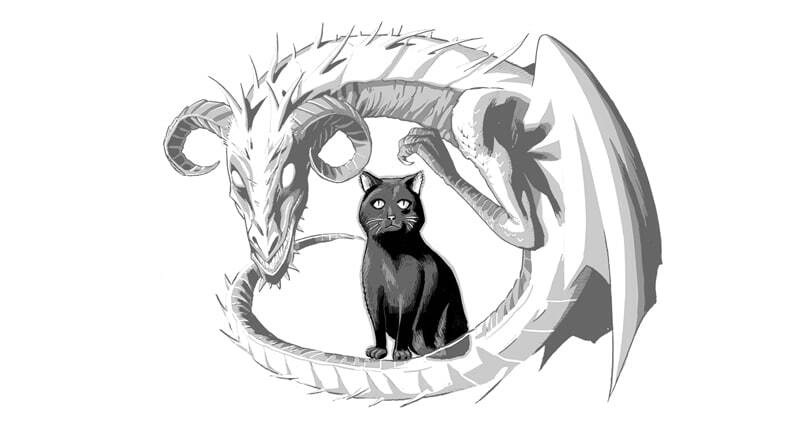 Even those who successfully win an aitvaras’ favor find its blessings fickle, for the dragon often has unspoken expectations when adopting a domain, and those who violate its “terms” risk drawing the beast’s ire. As a result, even the most amicable relationship with an aitvaras is typically brief and disastrous to the hosts. Aitvaras are territorial and never share a domain. Mated pairs fight to decide which domain will hold their eggs, though the parents forget about their young once they move to a new domain, leaving the hatchlings to fend for themselves. A chaotic neutral arcane spellcaster of at least 7th level who has the Improved Familiar feat may select an aitvaras as a familiar. Branching, jagged antlers line this ink-black salamander’s back from head to tail. Acrid fumes pour from its mouth between rows of needle-like teeth. Languages Abyssal, Celestial, Draconic; telepathy 100 ft. Aquatic Adaptation (Ex) An onyare can breathe underwater indefinitely and can freely use its breath weapon and other abilities while underwater. Horn Seeds (Ex) When an onyare hits a creature with its gore attack, tips of its antlers break off and begin growing in the target’s body as bony, antler-like nodules. Damage caused by the horn seeds cannot be magically or naturally healed until the bony growths are removed, which requires a DC 15 Heal check and deals 3d8 points of damage to the target. For every 5 by which the Heal check exceeds the DC, reduce the damage by 1d8 (minimum 0). Outsiders with the chaotic subtype are immune to this effect. This is a disease effect. The save DC is Constitution-based. Horn Seeds (Ex) Gore—injury; save Fort DC 15, onset 1 day, frequency 1 day, effect 1d4 Dex and 1 Con damage, cure 2 consecutive saves. 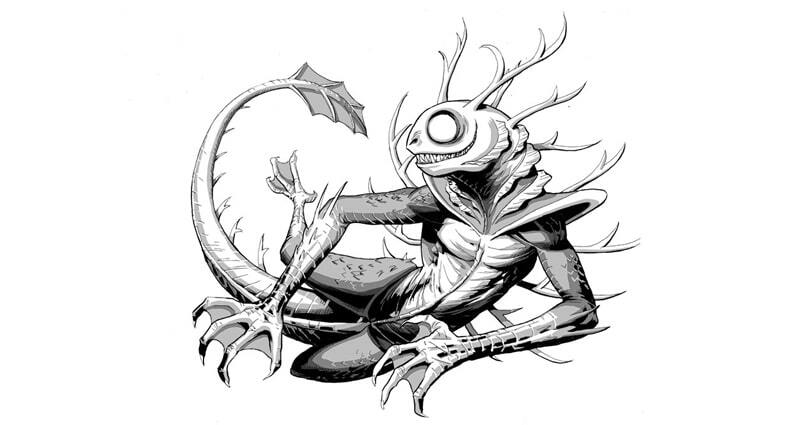 Cunning and cruel, onyares are horned demons that lurk in the lakes and tarns of abyssal swamplands. Constantly adapting to the needs of their environment, Onyares grow and shed primitive, gaunt limbs in a matter of minutes – effective for overland travel between mires, but too weak for combat. Onyares instead rely on their needle-sharp teeth and corrosive breath, but their most infamous weapon is their antlers, which break off into victims and form horn-like growths that impede movement and drain vitality. Each antler is a fast-growing shard of primordial chaos that consumes normal flesh and sprouts new branches. An onyare constantly sheds damaged or dead antlers, using the broken points to decorate its lair and mark the edges of its territory. An onyare is between 8 and 11 feet long, weigh roughly 400 pounds, and can possess up to 5 primitive limbs at any given time. They form from mortal souls who thrived in mass hysteria, exploiting panic and tragedy for entertainment or personal gain. They delight in using their spell-like abilities to frighten intruders, giving chase as they flee in terror. They are often summoned to the Material Plane to serve as guardians for hidden lairs and vaults within the marshes, though their restless, chaotic nature often leads them to abandon their posts and stalk the wilderness for mortals to torment. The cracks and fissures in the mottled brown hide of this bipedal, serpentine dragon weep seemingly endless streams of sand. The air around its spade-shaped head ripples with intense heat. Breath Weapon (Su) Once every 1d4 rounds, a dune linnorm can breathe a 120-foot line of superheated wind, dealing 14d8 points of fire damage to all creatures in the area (Reflex DC 22 halves). If the ground is covered in sand, the heat turns the sand in the area into long shards of glass pointed away from the linnorm. This area is affected as per the spike stones spell (Reflex DC 22, Perception DC 30 to notice), except that creatures damaged by the glass also take 1d8 points of fire damage. The glass turns brittle and collapses back into sand after 1 hour. The save DC is Constitution-based. Death Curse (Su) When a creature slays a dune linnorm, the slayer is affected by the curse of the wastes. Curse of the Wastes: save Will DC 22; effect creature functions as being in severe heat (see the “Heat Dangers” section in Chapter 13 of the Pathfinder RPG Core Rulebook) at all times (unless the actual temperature is hotter), and cannot benefit from endure elements or other magical protection from heat. The save DC is Charisma-based. Freedom of Movement (Ex) A dune linnorm is under the constant effect of freedom of movement, as per the spell of the same name. This effect cannot be dispelled. Poison (Ex) Bite—injury; save Fort DC 22; frequency 1/round for 10 rounds; effect 2d6 fire damage and 1d3 Con drain; cure 2 consecutive saves. The save DC is Constitution-based. True Seeing (Ex) A dune linnorm has constant true seeing, as per the spell of the same name. While most linnorms inhabit the frigid mountains of the far north, the fearsome dune linnorms dwell in southern deserts, steppes, and other regions of intense heat. The massive dragons claim vast tracts of wasteland as their territories, devastating the already fragile ecosystems with their voracious appetites and aggressive dispositions. Their limited food supplies leave them smaller and weaker than their northern cousins, but many times more irritable thanks to their near-constant hunger. While a dune linnorm’s presence frequently spells disaster for nearby tribes of humanoids, exceptionally resourceful or powerful individuals can salvage boons from the dragons’ lairs. Dune linnorms’ fey dispositions instinctively draw them to ley lines and other sites of potent natural magic hidden in the wastes, meaning their homes are often riddled with magical treasures and supernatural fonts of food and water, which allow the ravenous dragons to survive. Crafty desert-dwellers can capitalize on these resources, although they risk provoking the mighty liners, who swiftly and ruthlessly investigate any perceived violations of their privacy. An iridescent carapace covers this tiny creature, with two bulbous, three-pupiled eyes in front and a spine-like tail protruding behind. Four pairs of pincer-tipped legs fidget incessantly beneath its shell. Its entire body shimmers, as if surrounded by unstable energy. Dweomer Leap (Su) An illimulid that is targeted by a spell or within a spell’s area of effect can teleport into the caster’s square as an immediate action, effectively appearing mid-leap and aimed toward the caster. This ability takes effect whether or not the spell overcomes the illimulid’s spell resistance. The illimulid can immediately make a touch attack against the spell’s caster. This ability does not provoke an attack of opportunity. Force Bolt (Sp) As a standard action an illimulid can fire a bolt of force at any foe within 30 ft. as a ranged attack. Each bolt deals 1d3 points of force damage. An illimulid’s force bolt can be blocked by a shield spell. Parasitic Casting (Su) An illimulid that is attached to a spellcaster at the beginning of its turn can make a special Use Magic Device check against DC 11 + caster level. If successful, the illimulid activates one of the caster’s spells, as if she had cast the spell with the illimulid as the target or the center of the effect. The activated spell is chosen randomly from the caster’s prepared spells or spells known. Harmful spells activated by this effect always fail to overcome the illimulid’s spell resistance. Spells with a range of personal affect the illimulid instead of the caster. If the Use Magic Device check exceeds the caster’s Will save by 5 or more, an additional spell is activated. The bane of all magic users, illimulids (colloquially called “magekiller crabs”) were named for their ability to hijack magical energies. Despite their meek appearance, these seemingly harmless creatures become dangerous when they latch onto a victim and start firing spells at point blank. 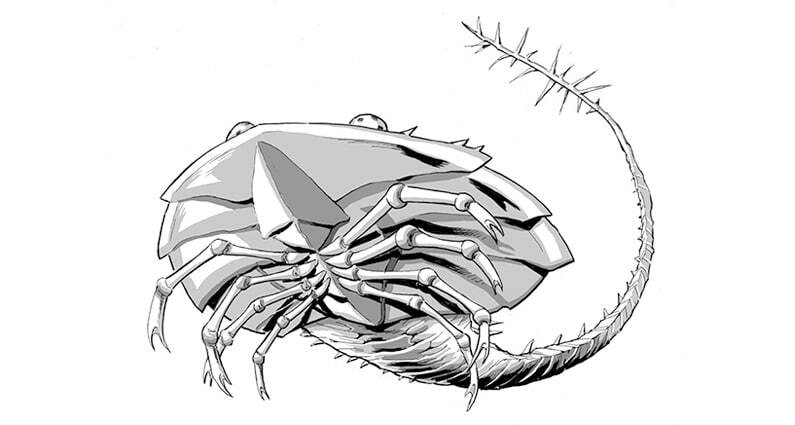 Terrestrial cousins of horseshoe crabs, illimulids eat mosses, fungi, and carrion, and shelter in cramped spaces to escape predators. Females lay hundreds of eggs at a time, but must siphon energy from magical discharges to prime them for fertilization. As a result, these typically docile creatures become active in the presence of spellcasters, scrolls, wands, and other magic items, triggering spell effects in order to quicken as many eggs as possible. Their preferred habitats and aggressive pursuit of spellcasters makes infestations a major problem in magical communities. Armies opposed by mages sometimes outfit their platoons with caged illimulids, which can use their dweomer leap to ambush long-range spellcasters and wreak havoc behind enemy lines. Some soldiers tell tales of illimulids specially bred for war, immune to certain forms of magic and bearing pincers that can rip through armor. This sleek spider has a hide like a polished mirror, and eight pinpricks of light for eyes. 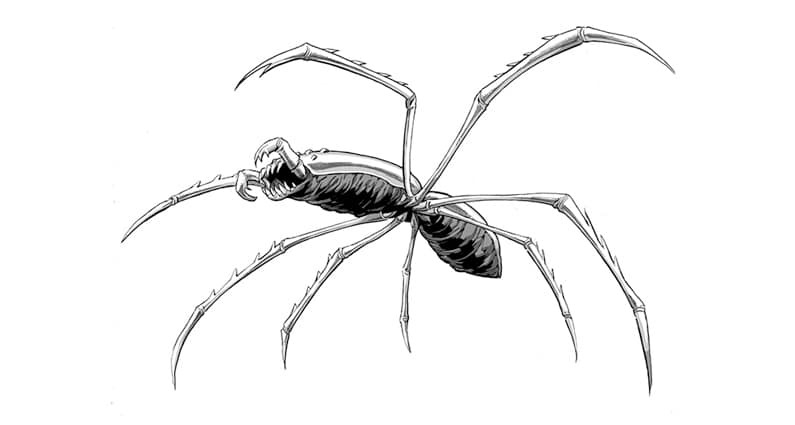 Light Climbing (Su) Solar spiders use their Dexterity modifiers for their Climb skill, rather than Strength. When in areas of bright light, solar spiders can climb on imperceptible strands of light, using their climb speed as a fly speed with perfect maneuverability. The solar spider uses its Climb skill rather than its Fly skill to determine its ability to execute flying maneuvers, with no additional bonuses for maneuverability. Poison (Ex) Bite—injury; save Fort DC 15; frequency 1/round for 6 rounds; effect 1d2 Strength damage and 1 Constitution damage; cure 1 save. Reflective Hide (Ex) A solar spider’s polished hide is highly reflective. When a solar spider is in normal light, all creatures within 30 feet of it are dazzled. When in bright light, a solar spider’s hide becomes so bright that creatures have difficulty looking directly at it, resulting in a 20% miss chance against all attacks by sight-dependent attackers. Solar spiders are immune to spells and effects that use sunlight as a weapon, such as searing light and sunburst, and they cannot be blinded or dazzled by bright light or patterns. Sun Snare (Su) A solar spider can throw globs of burning sunlight the way normal spiders throw webs. This ability functions like the web ability (+8 ranged, DC 15, 5 hp), except that a creature struck by a sun snare must also make a DC 15 Fortitude save or be blinded for 1d4 rounds. A creature entangled in a sun snare sheds light like a sunrod, suffers a -40 penalty on Stealth checks, and takes 1d4 points of fire damage per round it is entangled. Solar spiders can only use this ability when they are in normal or bright light. Found in deserts, wastelands, and other regions infamous for intense sunlight, solar spiders are fully adapted to survive in sun-seared environments. Their reflective hides not only protect them from ultraviolet rays, but also turn the blinding sunlight to their advantage when hunting prey or fending off predators. Their hypersensitive legs can also grasp strands of light unnoticeable to most creatures, allowing them to climb on sunbeams and spin light into adhesive projectiles that rapidly burn those they ensnare. Despite the spiders’ dangerous abilities and territorial natures, many desert tribes harbor great respect for the radiant creatures. Tribe elders and soothsayers depict the arachnids as servants or manifestations of solar deities, graceful and beautiful from a distance but terrible if encountered up close. Chieftans and shamans commonly wear ceremonial armor or headdresses made from solar spider hide as a status symbol.